I was recently asked how a home's frontage impacts its value. For example, does a home on a lake sell for more than one on a golf course? How do each of these compare to a home on the interior? Today's report on Killearn Estates attempts to answer that question (at least for home sold in Killearn Estates). 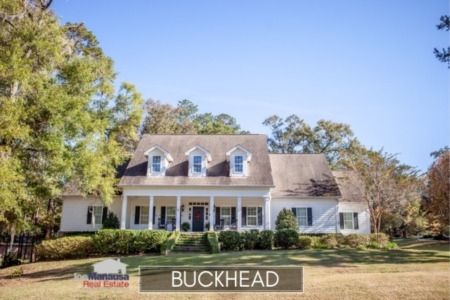 First, we show all homes for sale in Killearn Estates, then we have segmented our report by frontage type (golf course, lakefront and interior). 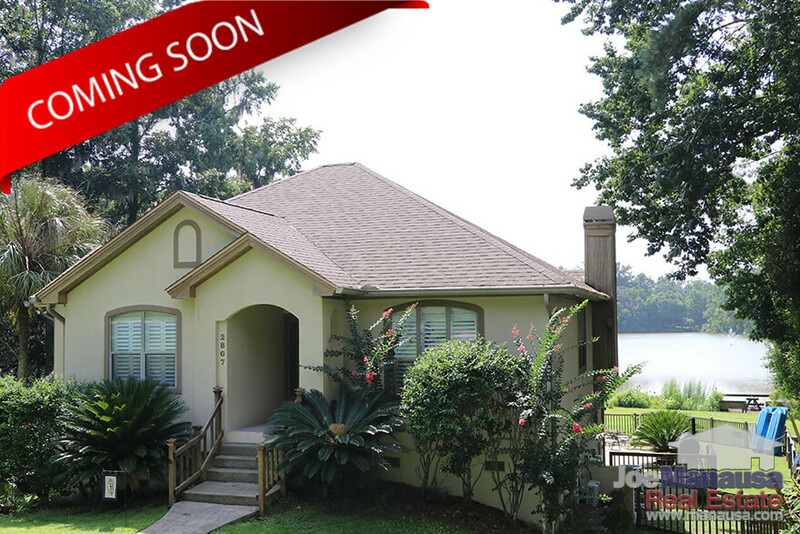 We just met with a homeowner on the lake in Killearn Estates (which maintains it's water level year round) who is almost ready to move. The home pictured to the right is "coming soon" and will be listed within the next few weeks. 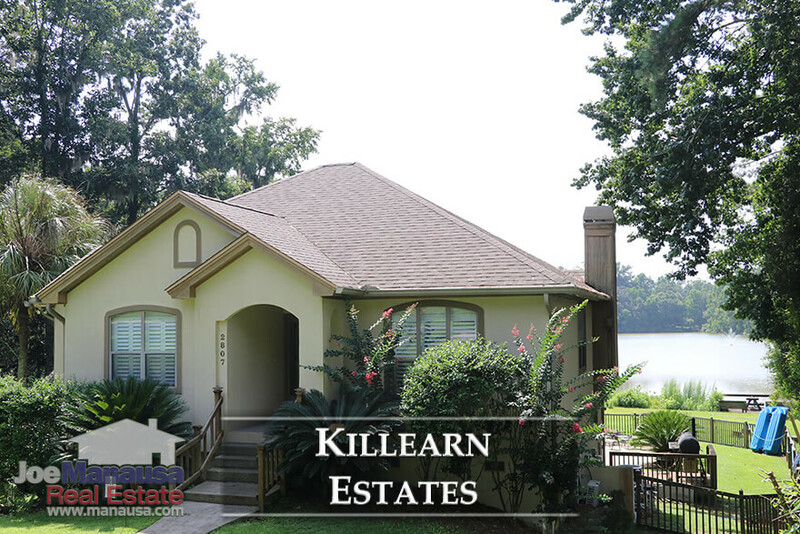 For each of the three real estate graphs found in this report, you will find a breakdown of home sales in Killearn Estates, segmented by frontage type, meaning we are comparing homes on the golf course to homes a lake to those that are on interior lots. The closed sales table will be continuously updated into the future (meaning bookmark this page if you always want to know the current status of homes in Killearn Estates). We see the greatest variation in lakefront home prices, mostly due to the very limited number of these homes that exist in Killearn Lakes. On top of that, some of the lakes (ponds) do not stay filled with water at all times, and this has had a negative impact on their sales prices. 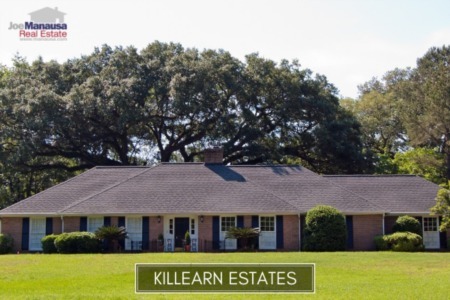 Home sales activity in Killearn Estates is extremely strong. The number of sales here this year will likely be limited by only the number of homeowners who decide to move. Buyers are standing by and waiting! Currently, there are 72 homes for sale in Killearn Estates and 21 of them are already under contract! If you want to sell your home in Killearn Estates, utilize the massive marketing campaign that is bringing fast sales at top dollar to home sellers today. The graph of Killearn Estates home values above suggests that golf course homes sell for about 7% more than do interior homes, while lakefront homes sell for about 4% more. Again, due to the differences in lakes, a home on a lake that retains its water level year round is likely about the same value as a golf course home, whereas those that are on "seasonal ponds" are likely to sell closer to the home values found on interior lots. The average home size sold in Killearn Estates typically falls in a range of 1,900 to 2,200 square feet, and that is what we are seeing in 2018. Homes on the golf course tend to be the largest, while those on interior lots tend to be the smallest. Lakefront homes in Killearn fall roughly in the middle. The 129 homes sold in Killearn Estates thus far in 2018 have averaged 2,110 square feet. This concludes our July 2018 update on home sales in Killearn Estates, please give us a call at (850) 366-8917 or drop us a note if you have questions not covered in this report. How do you choose your next real estate agent? 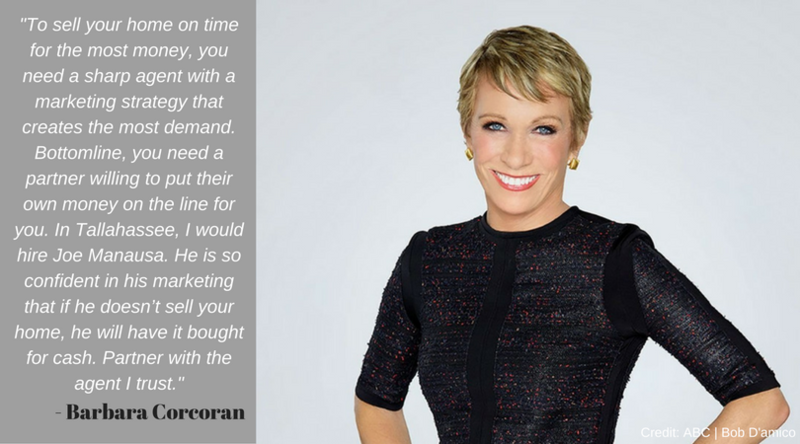 Simply listen to their past clients! Here's what people are saying about working with Joe Manausa Real Estate, and you can see thousands of real customer reviews reported on Google, Facebook and Zillow right here: http://www.manausa.com/testimonials.